Central library is such a unique, homely building of important architectural importance to the city and its citizens. 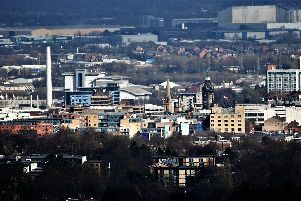 It is one of the city centre’s main attractions for thousands of people every week despite having shorter opening hours than many small towns near Sheffield. It’s about time we had a proper commitment to safeguard this beautiful art deco gem and apply for funding to retain it as a library for generations to come. Other cities such as Leeds, Liverpool and Manchester have all retained and refurbished their much older central library buildings to modern standards, it is about time Sheffield followed suit.